We take customer satisfaction seriously and undertake each and every project with this objective in mind. We will be delighted to talk with you and to provide a quotation for our high quality joinery and furniture crafting service. From architectural renovations and custom-made furniture, from modern high performance windows to traditional designs, JM Joinery’s meticulous attention to detail is second to none. Established twenty five years ago, JM Joinery has grown primarily through recommendation. Our experienced craftsmen are able to undertake any joinery project, no matter how simple, specialist or unusual it may be. Over the years the company has worked on a range of prestigious projects for both commercial and private clients throughout the Sydney region. 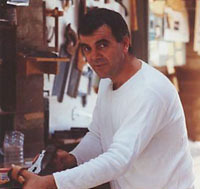 John Malolakis is a member of the Woodworkers' Association of NSW Inc.